Today I met my family in Oxford to celebrate my Dad’s birthday. I managed to fit in some sketching between rain showers! These are wonderful. I especially like the Christ Church one, very moody with the clouds overhanging the city. Can you tell me how long, typically, an image like these take? Because they look fully realized and finished, not sketches or dashed off. I am in awe of your work and I think your skills grow with each thing I see. Thanks Claudia! 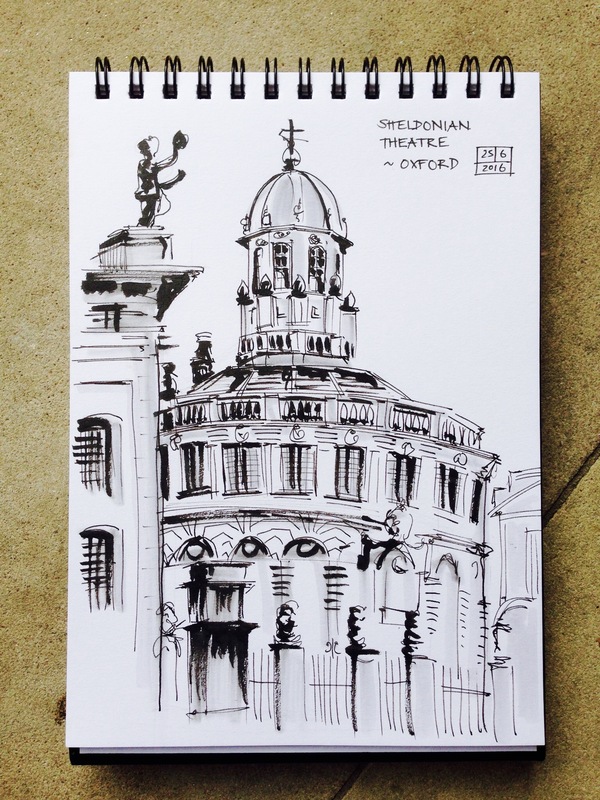 The sketches of Sheldonian Theatre and Broad Street were completed on location and I guess they took about half an hour each. 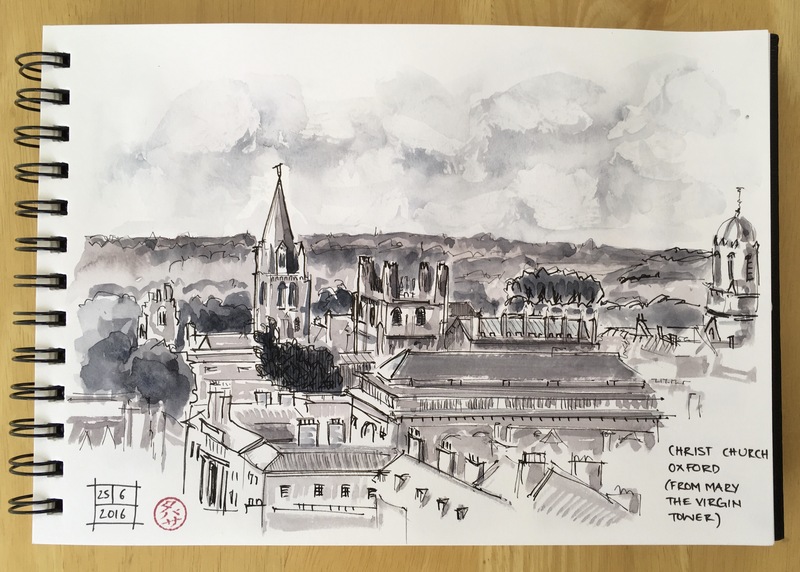 The Christ Church sketch was tricky to do as there is very little space at the top of the tower where I was standing and I kept having to move for other tourists! I got the lines down on location and then added the watercolour (using Neutral Tint and some Payne’s Grey) at home later. This took me longer, probably closer to an hour. That just amazes me. They are so polished, and yet very fresh. These are lovely. 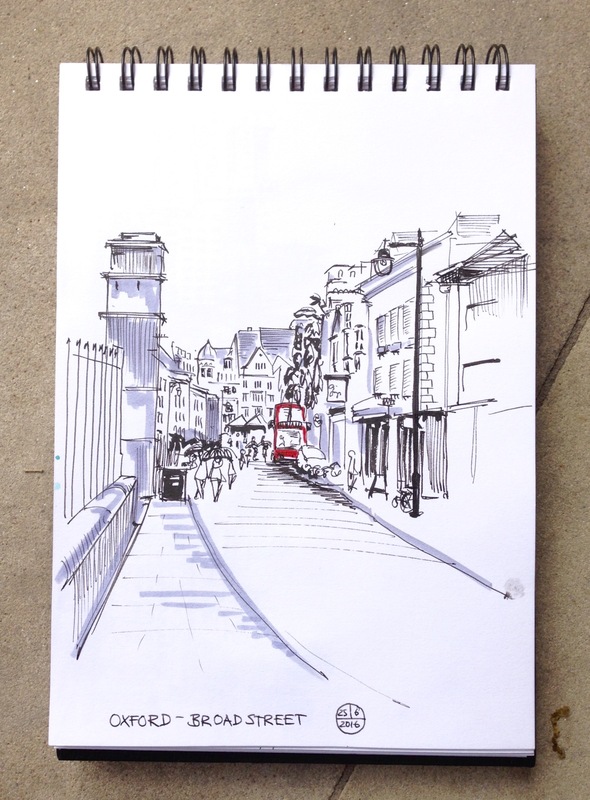 I think that the minimal use of colour in these really captures the heavy, yet somehow lifting atmosphere of Oxford. I lived there for three years but these views never get old!